If you are looking for a reliable, powerful and durable weed eater, maybe you should consider purchasing a Cub Cadet. Mostly known for its small tractors and zero turn mowers, Cub Cadet also manufactures a series of weed eaters, including handheld weed whackers and a walk behind wheeled string trimmer, that are powerful enough to trim all the types of grass and weeds. If you’re now wondering why you should buy a Cub Cadet weed eater, below I will describe the main features of their tools. I also put up a list of Cub Cadet weed eater reviews to help you choose the best one. So read on! Cub Cadet was born in 1961 as a part of the International Harvester company. The brand was used for many years for the production of small tractors, until 1981 when International Harvester sold it to the MTD company. MTD kept the brand’s name but began the diversification of the tools manufactured under Cub Cadet’s name. A guarantee of the American quality, Cub Cadet is now manufacturing an entire range of outdoor power tools, including reliable zero turn mowers, walk behind mowers, weed eaters and a series of other lawn and garden care tools. Basically, the weed eaters manufactured by Cub Cadet can be divided into two main categories, handheld and walk behind. Let’s see each category in detail. The Cub Cadet handheld weed eaters are designed to provide remarkable trimming results. They are all equipped with powerful engines and boast high-quality cutting heads, being able to cut with ease through the most stubborn types of grass and weeds. Basically, Cub Cadet manufactures a series of gas-powered weed eater﻿﻿s and also a selection of c﻿ordless electric weed eaters. The gas-powered models are powered by either 2-cylinder or 4-cylinder engines with powers that range from 25cc to 30cc. When it comes to the cordless electric string trimmers, Cub Cadet manufactures all of its models with reliable lithium-ion batteries of capacities that vary between 20 and 40 volts. These tools can easily compete with the manufacturer’s gas-powered weed eaters because the batteries have long running times. Regardless of the power type, there are a few characteristics you can find on both gas-powered and electric models. First of all, you will be able to choose the preferred shaft option, because in both categories you will be able to find weed eaters with straight shafts as well as weed eaters with curved shafts. Most of the handheld weed eaters are equipped with convenient bump feed heads, so you will not have to worry about wasting the line. You will be able to simply bump the head of the weed eater on the ground to advance the right length of the line. 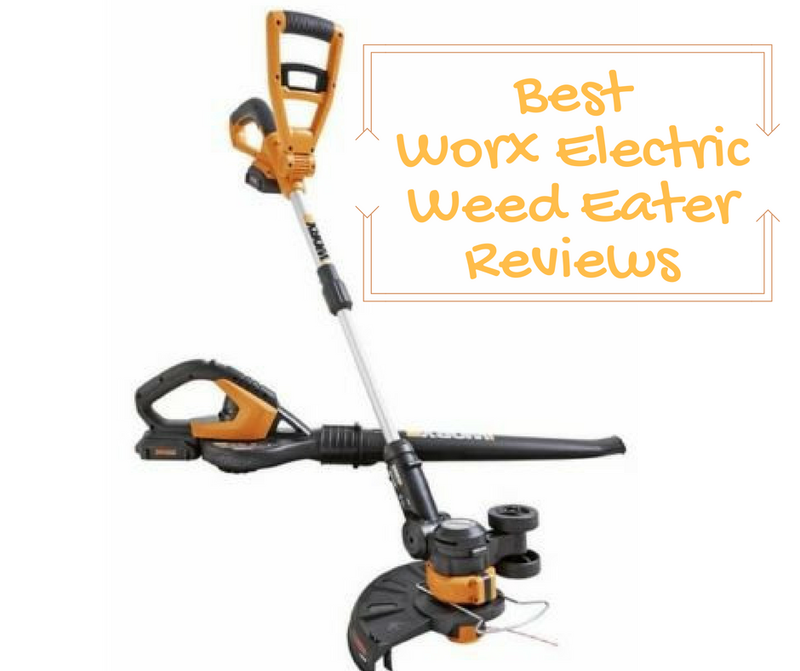 Some of the weed eaters are also versatile tools, accepting various attachments that transform them into other garden care tools such as blowers, pruners, and more. When it comes to the warranty, depending on the tool you choose, you can get up to five years of limited warranty for the parts and labor, which is a rather long time. If you have a large lawn and feel that a handheld weed eater is not suitable for you, know that Cub Cadet is also manufacturing a walk behind wheeled weed eater. Similar to a lawn mower, the Cub Cadet wheeled weed eater is easy to maneuver and boasts a wide cutting swath, being perfect for all types of grass and for all types of lawns. In addition to the exceptional handling ensured by the large wheels and by the perfect balance, this weed eater is also equipped with various height adjustments. The warranty offered for this machine, in the case of residential use, is of three years. What To Consider Before Buying A Weed Eater? Now that you know what options you have when choosing a Cub Cadet weed eater, let’s see what things you should consider before deciding which model is right for you, in the case of residential use. The size of your lawn: this is probably the most important thing to consider before deciding what type of weed eater you need. If you have a small or medium size lawn, then a handheld weed eater might be the right choice. However, if your lawn is large or if you plan on trimming the grass often, maybe you should consider investing in a walk behind model. 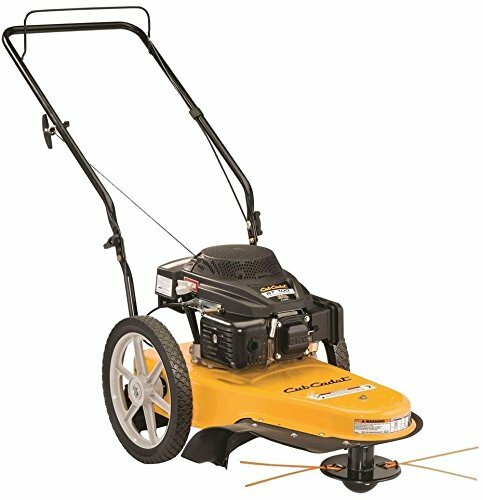 Power: all Cub Cadet weed eaters are powerful and reliable, so you should decide between choosing a gas-powered or an electric model. In the first case, you should determine if you want a two-cylinder or a four-cylinder engine.The two-cylinder engines weigh less than the four-cylinder ones, but you will have to pay attention to use the right mix of oil and gas to power them. The four-cylinder engines are powered by gasoline, so you will not have to worry about the right fuel. The four-cylinder engines are also quieter and less polluting compared to the two-cylinder ones.If you decide to go for a greener option, you will have to decide if you need a 20-volt or 40-volt battery. Shaft: deciding what type of shaft you need is a purely personal issue since there are no particular advantages of one type over the other. My advice is to try both options and see which feels more comfortable to use. Versatility: if you want to use the weed eater exclusively for grass and weeds trimming, then you don’t really have to worry about this aspect. However, if you want to use the weed eater for other garden chores too, you should check what attachments are available and decide if the tool you are considering really fits your needs. Now, let’s have a look at the Cub Cadet weed eater reviews to decide what tool to buy. The first Cub Cadet weed eater we talk about is the CC330, a powerful and reliable tool that is powered by a 4-cylinder 30cc engine. 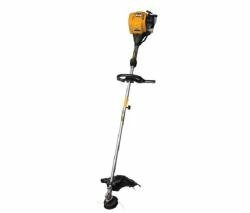 This weed eater features a comfortable curved shaft, being an ideal choice especially if you have to trim the grass around many trees and flowerbeds. Thanks to the 4-cycle engine, you will not have to worry about getting the right oil-gas ration and the weed eater is pretty quiet compared to the 2-cycle tools from the same manufacturer. It also comes with a limited 3-year warranty for residential use. 17-inch cutting swath: regardless of the size of your lawn, you will be able to finish trimming fast thanks to the wide cutting swath. Commercial-grade line: this weed eater uses a thick .095-inch line that cuts easily through all the grass and weeds. Aluminum shaft: the shaft is resistant, being made of anti-rust aluminum. Versatile: the manufacturer produces a series of attachments that can transform the weed eater into a versatile garden-care tool. This string trimmer is quite heavy and can be hard to maneuver if you don’t have enough physical force. Smaller than the CC330, this weed eater is powered by a 2-cylinder 25cc engine. This tool is more suitable for small lawns, but the best part compared to the weed eater reviewed above is the reduced weight and the improved maneuverability. This weed eater features a straight shaft that is equipped with a comfortable contour handle and it also comes with a three years residential warranty. Thick line: this weed eater uses a strong, commercial grade line of .105 inches, being able to handle with ease all types of grass. 14-inch cutting swath: you will be able to trim the grass even in the hard-to-reach corners of your lawn thanks to the small cutting swath. Bump feed head: advancing the line is easy, thanks to the bump feed cutting head. Easy to handle: thanks to the reduced weight, this weed eater is easy to maneuver. Having a 2-cycle engine, you will have to use a mix of oil and gas to power it. It is also noisier than a 4-cycle weed eater. If you would rather use a battery-powered weed eater, then this CORE Cub Cadet might be the right option for you. Powered by a 20-volt 6.5Ah lithium-ion battery, this weed eater has a sufficient runtime to allow you to trim all the grass and weeds from a small size lawn. The weed eater comes with a 1-hour rapid battery charger, so you will be able to recharge your battery in a breeze. A LED indicator will let you know when the battery is fully charged. If you have a larger lawn, you could purchase a second battery to ensure a continuous work. Dual line: to ensure an excellent efficiency on all the types of grass and weeds, Cub Cadet equipped this tool with a dual twisted line of .095 inches. Variable throttle control: you will be able to increase the speed for a more powerful cut or to increase the runtime of the tool. Comfortable: this weed eater has a straight shaft that is provided with an over-mold handle, being comfortable to use. 16-inch cutting swath: you will be able to trim your lawn quickly, thanks to the wide cutting swath. Some users complained about the performances of the CORE battery. Designed for heavy-duty use, this combo of weed eater and blower represents an excellent choice if you are looking for a kit of environmentally-friendly yet powerful garden care equipment. These tools are powered by a 40-volt battery and come with a quick charger. The tool is very versatile, and you will be able to easily change between grass trimmer and blower. The weed eater has a fixed aluminum head and it works with a .095-inch twist dual line. 2 batteries included: it will be easy to have a continuous work regardless of the size of your lawn, because this kit comes with two batteries. Variable speed: you can choose between Power Boost for an increased power or Eco Mode for a longer runtime. 12 line refills: you will not have to worry about purchasing new line for a while. 3-year warranty: for residential use, Cub Cadet offers a 3-year limited warranty for this tool. The cutting head is fixed on the weed eater attachment, so you will not be able to replace it if you want to. Designed for large lawns and heavy-duty use, this walk behind weed eater represents an excellent choice for all the homeowners who have large lawns with thick types of grass and weeds, or for all the users who don’t want to maneuver a handheld tool. This weed eater is powered by a Cub Cadet 159cc OHV auto-choke engine and has a wide cutting swath of 22 inches. To ensure the cut quality, the manufacturer equipped this weed eater with a heavy-duty squared cutting line of .155 inches. Large wheels: this weed eater is equipped with 14-inch ball bearing wheels that increase the stability and maneuverability of the trimmer on all types of terrains. Adjustable cutting height: you will be able to choose the desired cutting height between 2.375 and 4.375 inches. Offset deck: this feature will allow you to trim the grass near fences or driveways with ease. Foldable handle: for easier storage and transport, this weed eater is equipped with a foldable handle. There are some complaints about the engine’s durability. Even if Cub Cadet manufactures some weed eaters with impressive characteristics, my favorite is the Cub Cadet CC330 Split-Boom Curved Shaft Weed Eater. My favorite thing about this tool is the 4-stroke engine that is fairly quiet and has a rather low level of vibrations. The curved shaft, on the other hand, allows me to trim with an incredible ease all the grass and weeds around the flowerbeds in my garden. The tool might have some flaws but its excellent features and its reliability makes it the best Cub Cadet weed eater you can buy.